What an interesting and beautiful image! Great photo – have seen these pottery kilns here too (Canaries). Lucy and Liz, you both are so inspired and inspiring, I appreciate your comments very much! 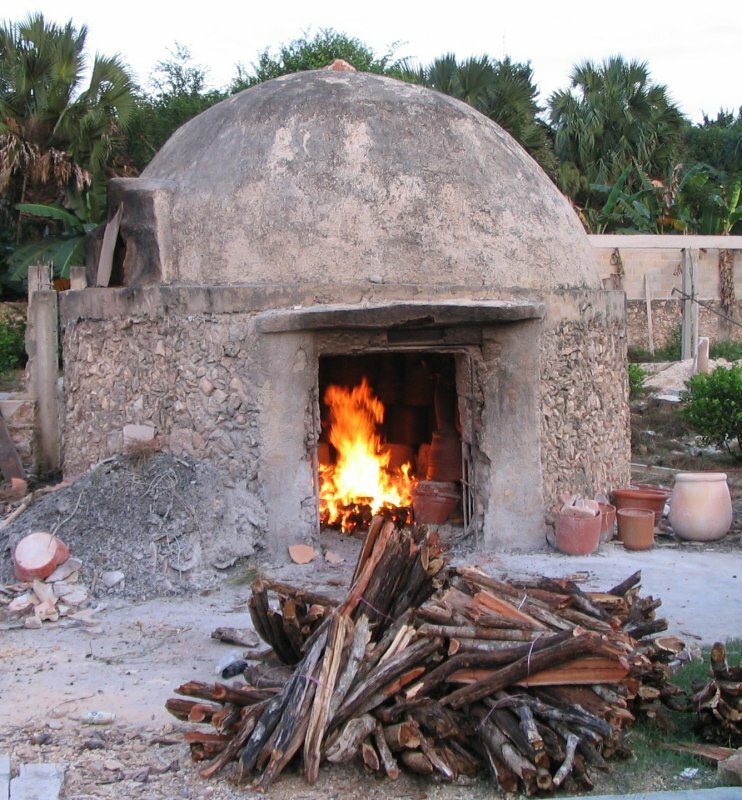 This is a nice image of what appears to be Andres Mena’s kiln in the barrio of Mejorado in Ticul.I was checking to see if any of the workshops in Ticul were advertising on the internet and I came across this. Very nice. You might be interested in my recently published book that documents the changes in the population of potters, raw materials, demand, distribution,fabrication technology between 1965 and 1997. There are other images of kilns there with notation of the changes that have occurred since 1965. 2008 Social Change and the Evolution of Ceramic Production and Distribution in a Maya Community. University Press of Colorado, Boulder.